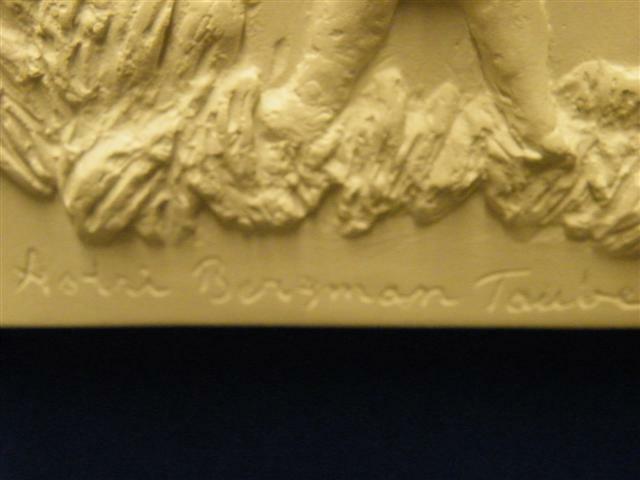 Wall plate in clay by Astri Bergman Taube (1898-1981), signed on the front and also on a certificate on the back: See pictures! Astri Berggman Taube was married to Evert Taube who is one of the most famous Swedish song and lyric writer ever. 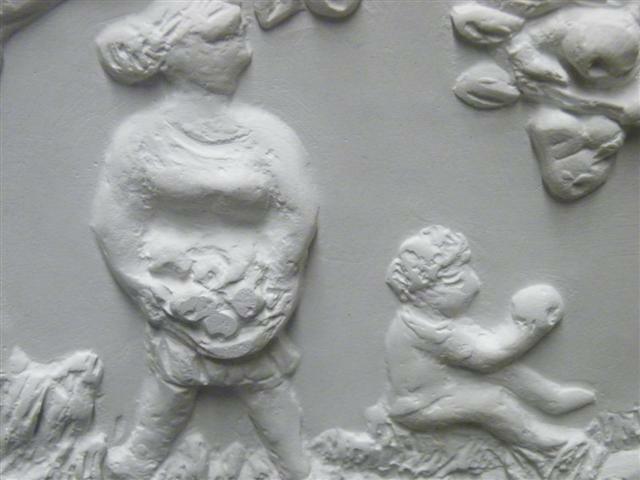 This wall plate in clay is in very fine condition, see pictures! Hand signed on the front and also signed and numbered on a special certificate on the back: Anglamark number 1021. 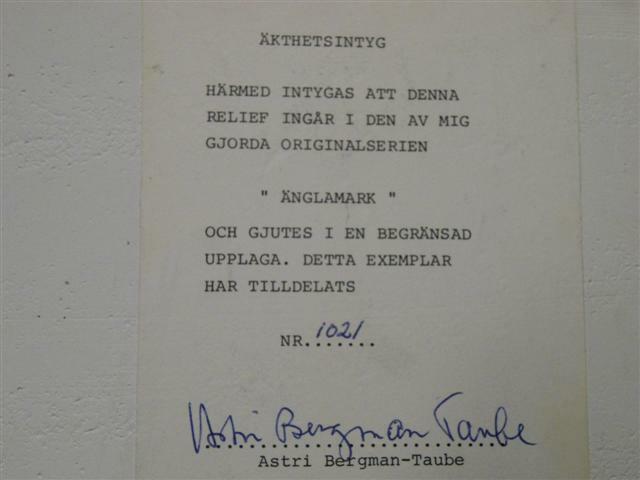 The title Anglamark means "the land of angels" in Swedish and it refers to one of Evert Taubes most famous works! NOW: EVERT TAUBE EXHIBITION IN STOCKHOLM 27/6 -16/8 MODERN MUSEUM OF ARTS IN STOCKHOLM! -There has been discussions going on for a long time about a special museum in Stockholm with the works from Evert Taube and his wife Astri Bergman Taube. 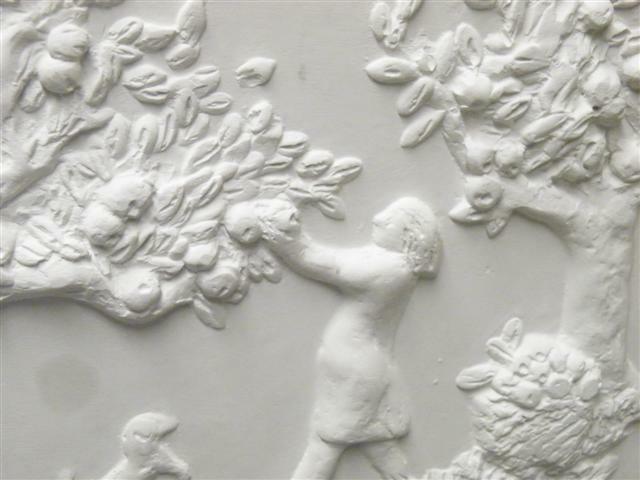 Notify me of updates to Astri Bergman Taube wallplate in clay! Original.